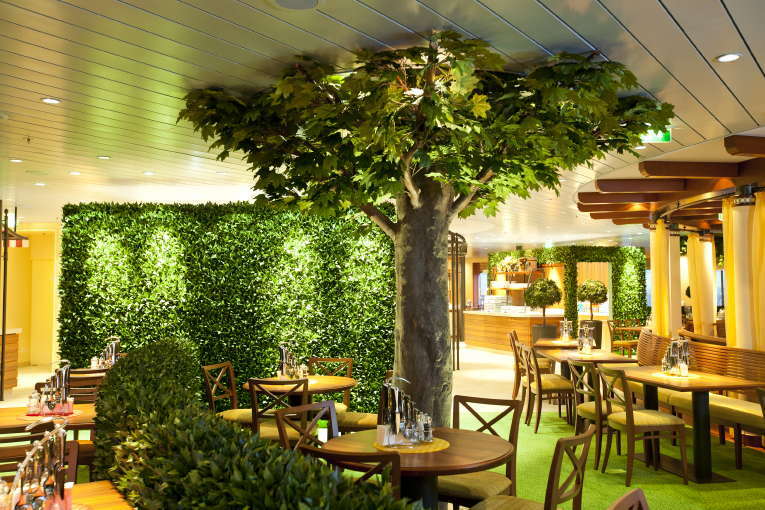 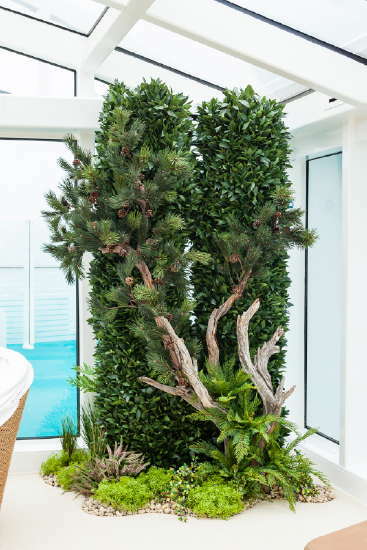 All thirteen AIDA ships were greened by DAUERFLORA. 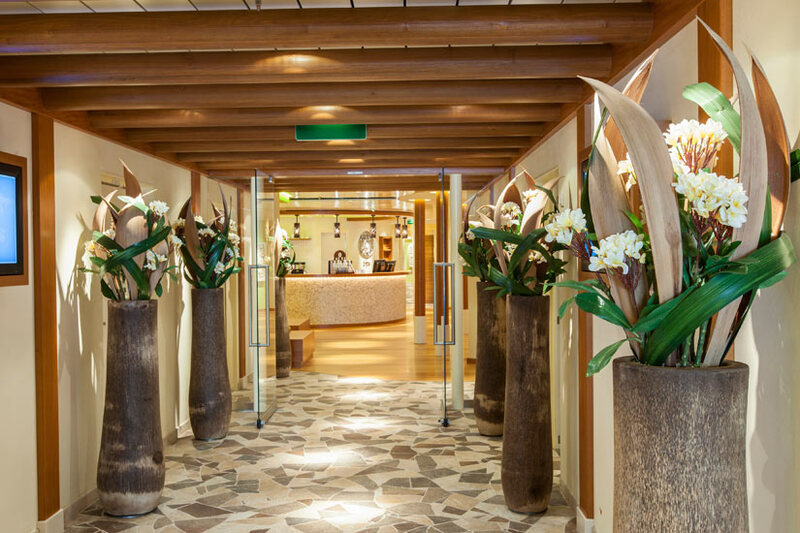 The focal areas are always the wellness and spa zone and the many different restaurants. 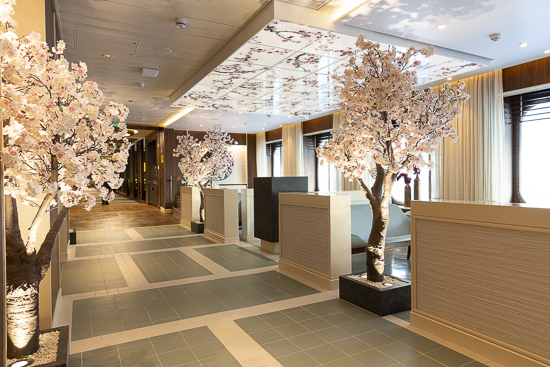 But communal spaces, such as the theatrium, the reception, the lounges and sun decks, also receive a great deal of attention during fit-out. 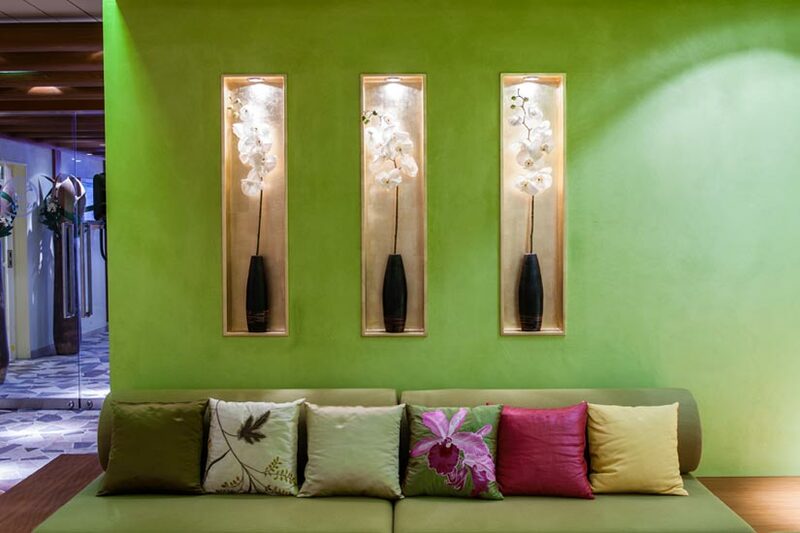 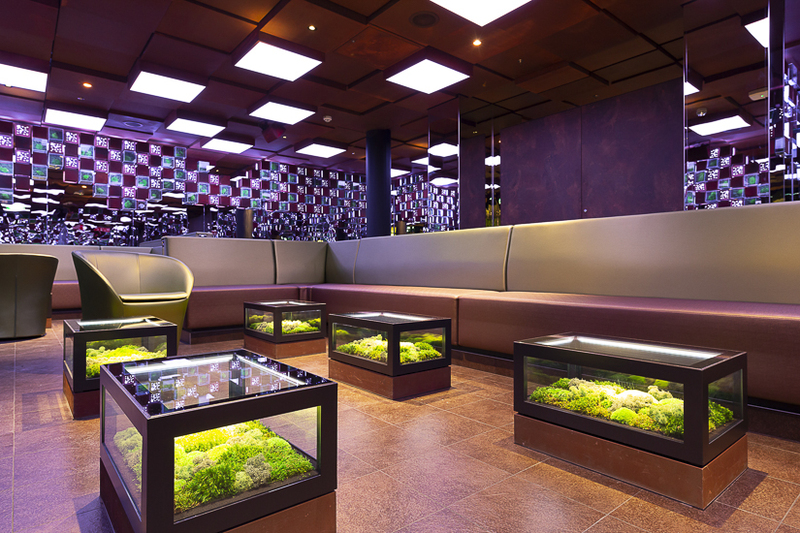 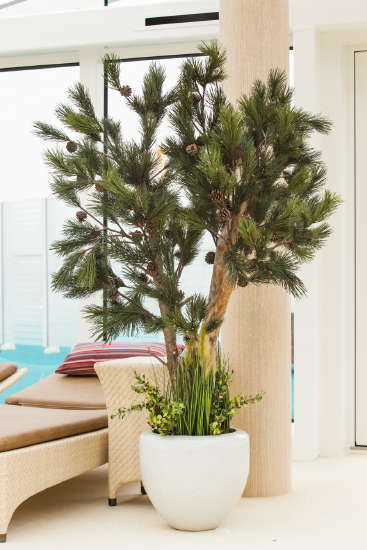 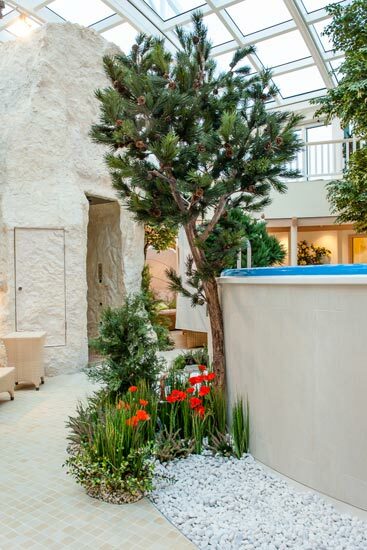 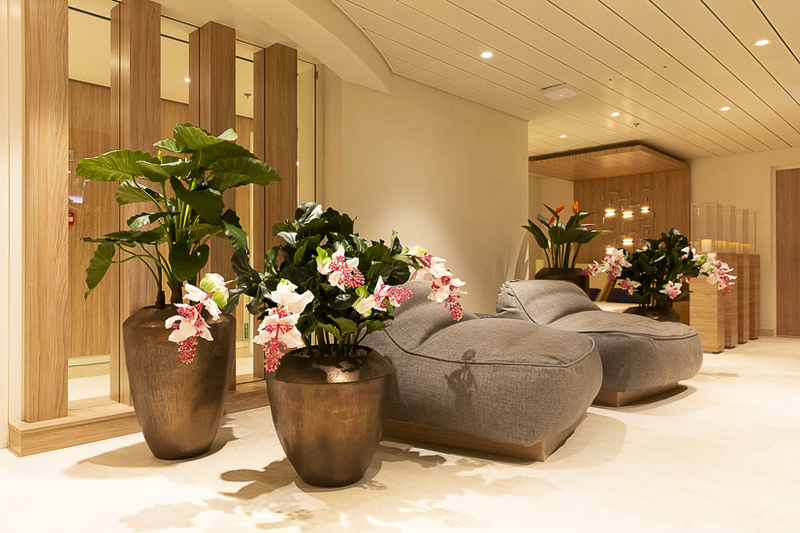 An inviting ambiance was created by DAUERFLORA in the crew areas, too. 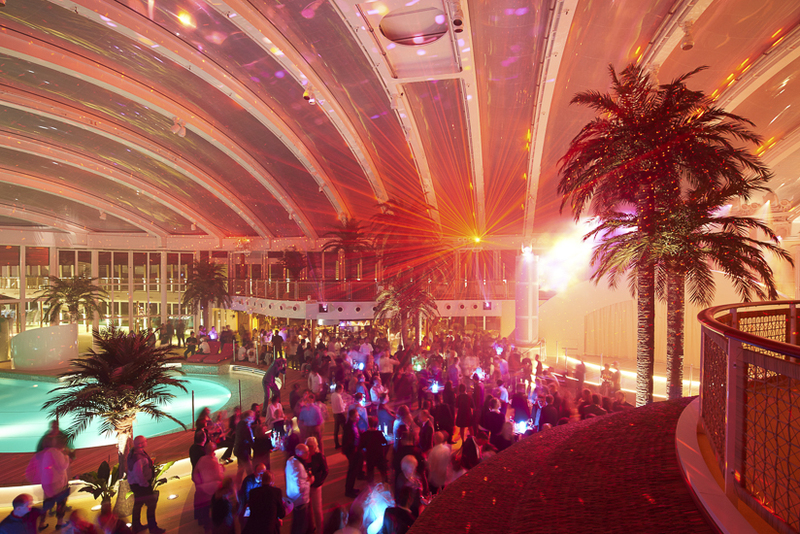 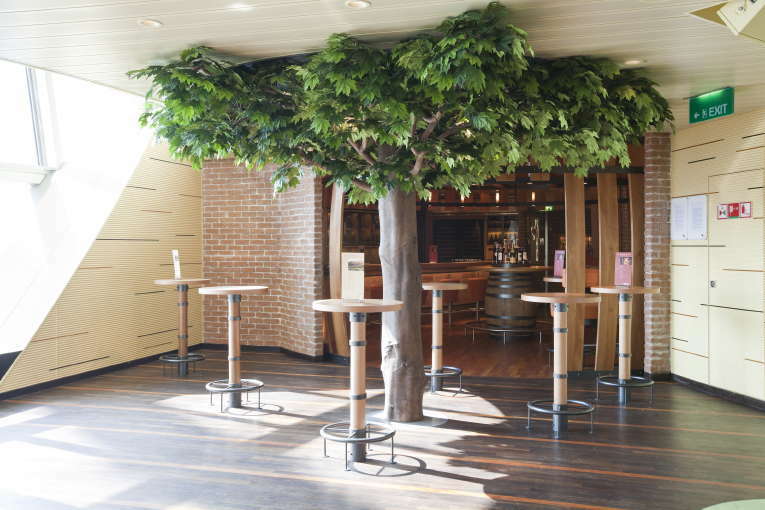 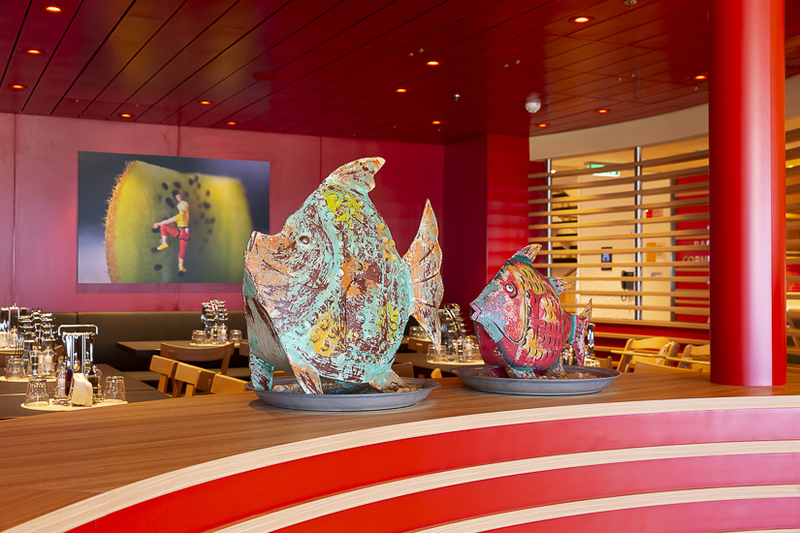 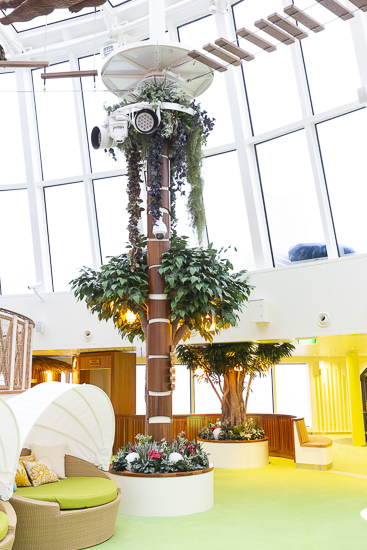 DAUERFLORA was even singled out as partner of the year by Meyer Werft, which constructed eight of the thirteen ships. 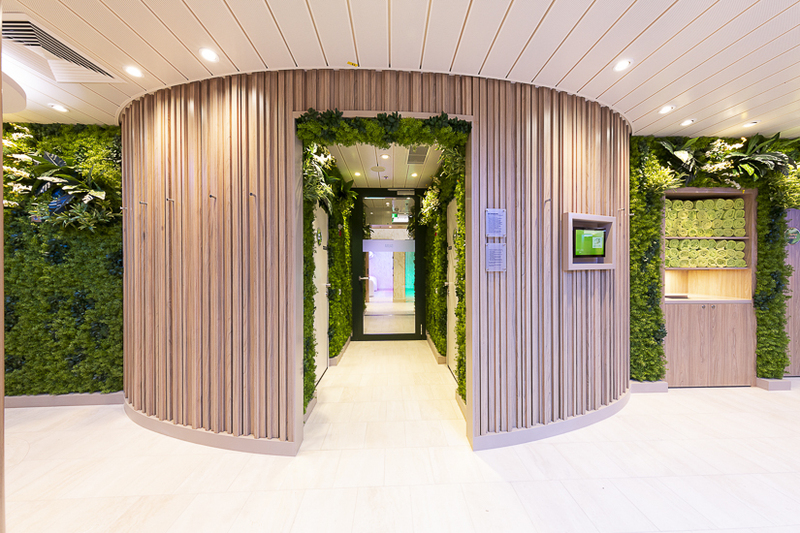 A number of criteria were evaluated in this process: excellent product quality, smooth project management, outstanding service and a high degree of flexibility, naturally alongside punctual delivery, transparent accounting and comprehensive marketing capabilities. 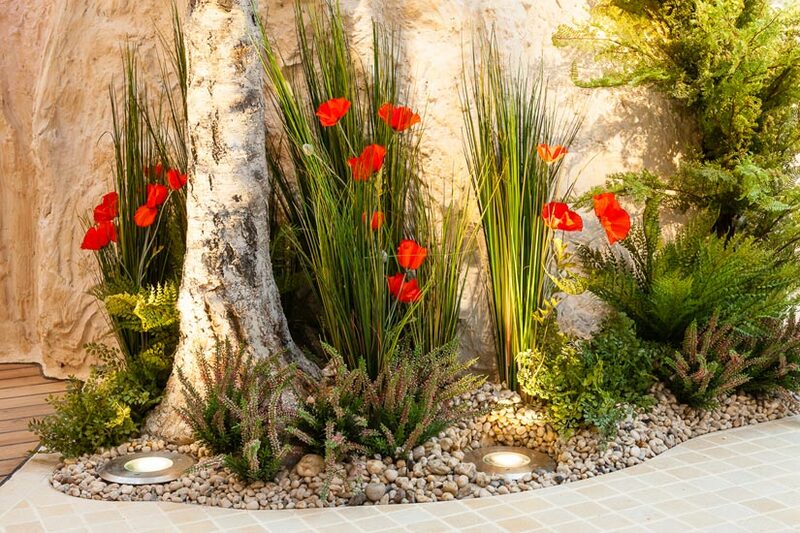 Naturally, we are proud of this commendation. 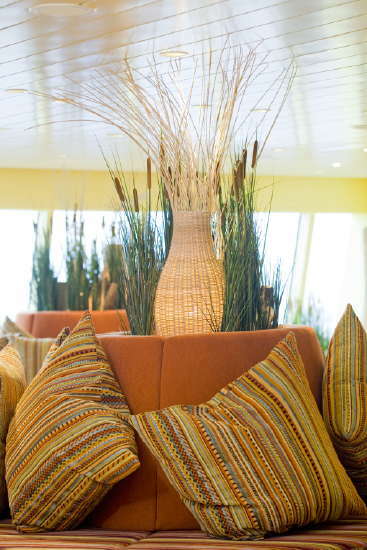 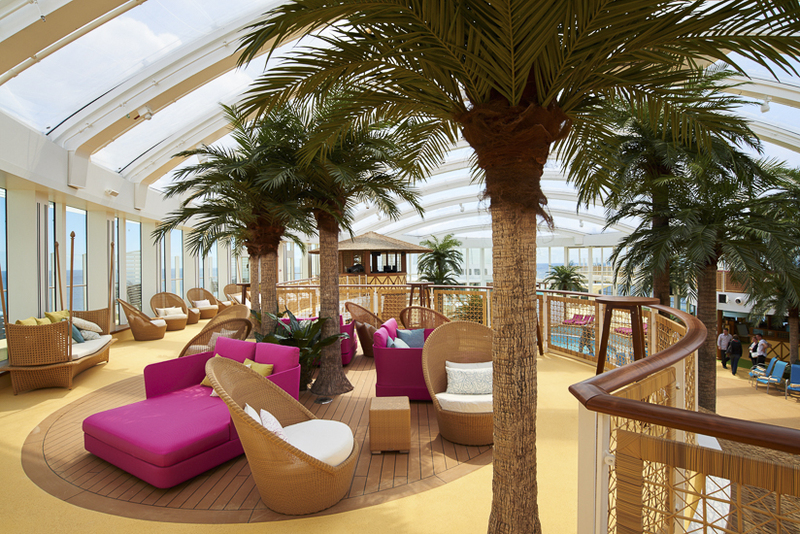 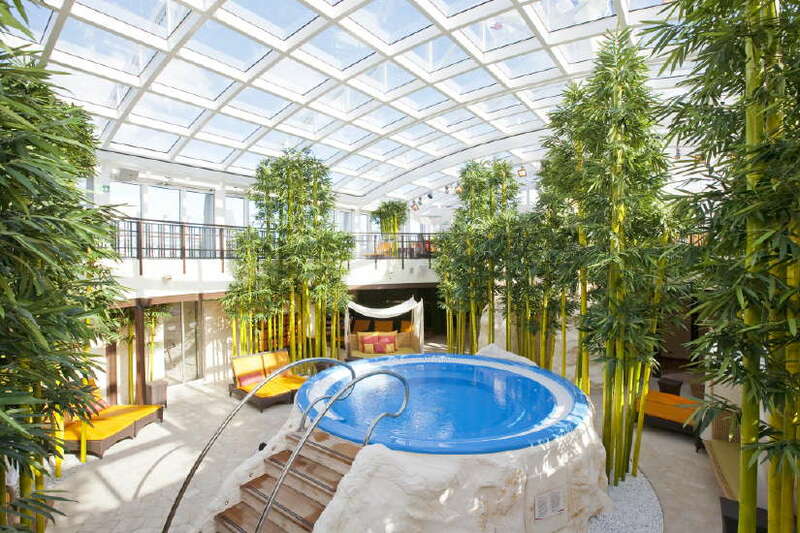 AIDA cruise liners stand for pure relaxation. 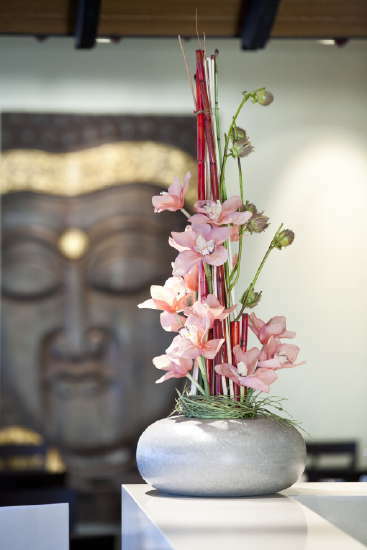 All areas should therefore convey the mood of the most beautiful days in the year. 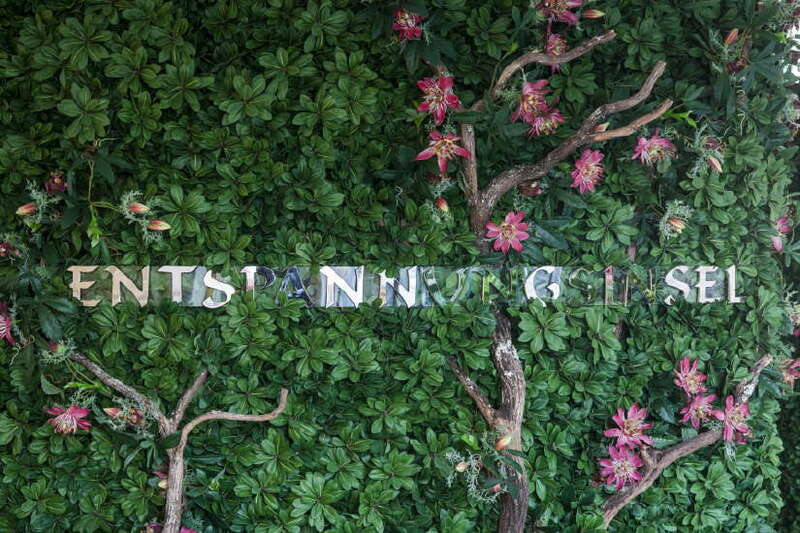 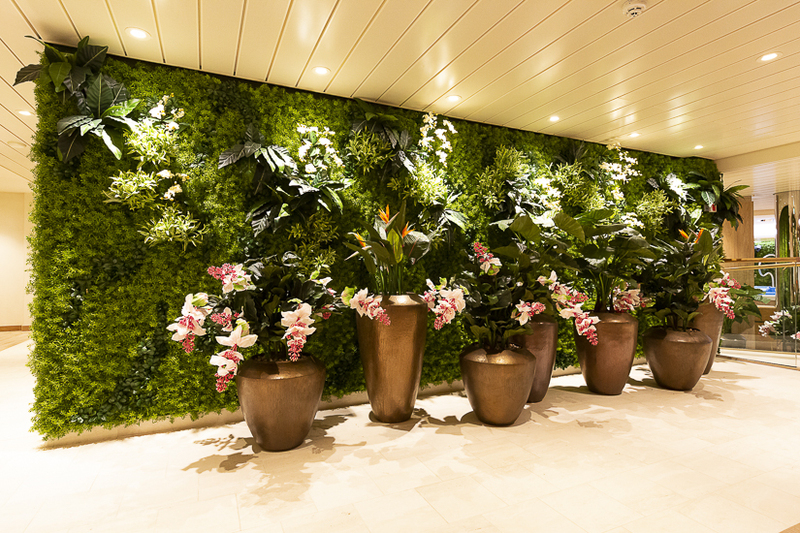 Not only do our plants conjure up an atmosphere, they also provide elegant cladding for pillars, or cleverly hide service stations. 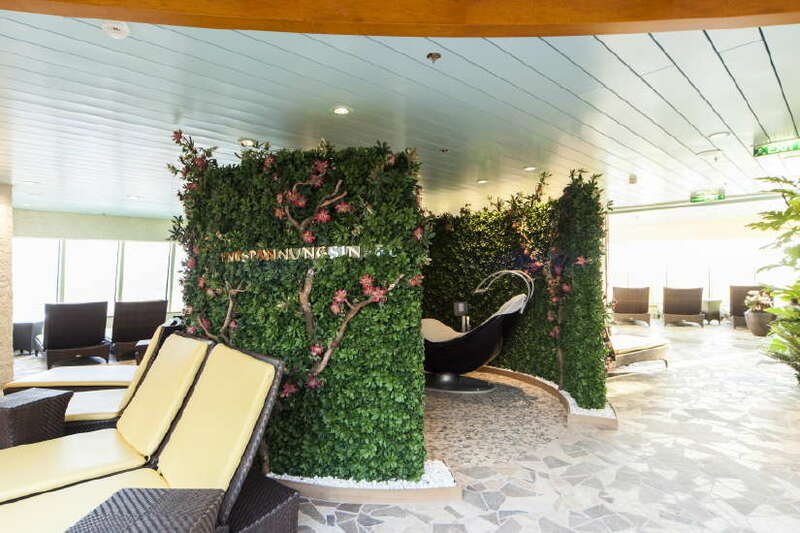 They also create snug corners and cosy lounges. 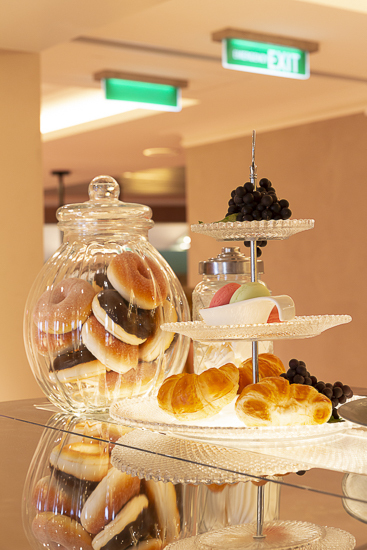 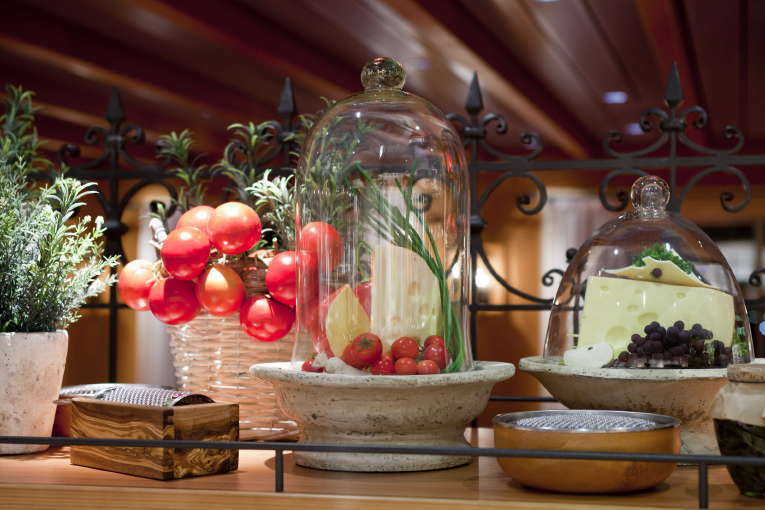 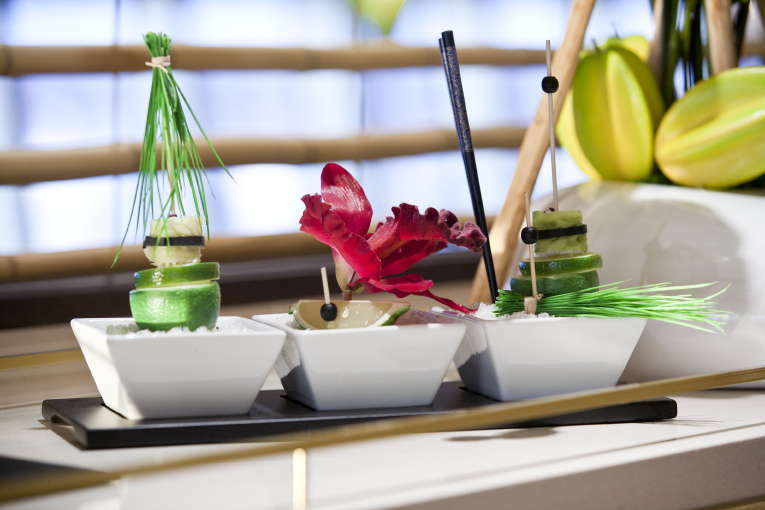 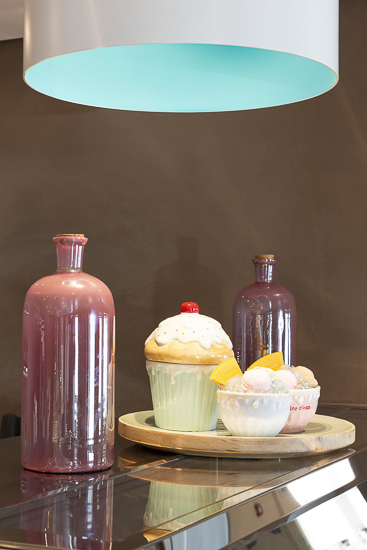 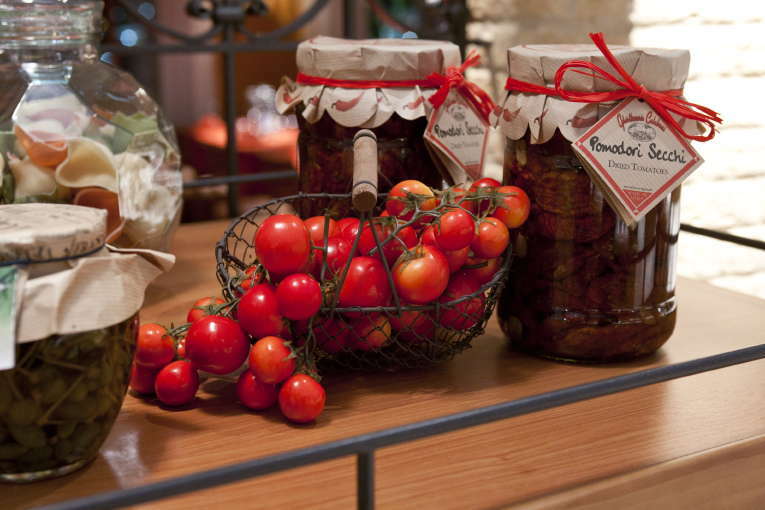 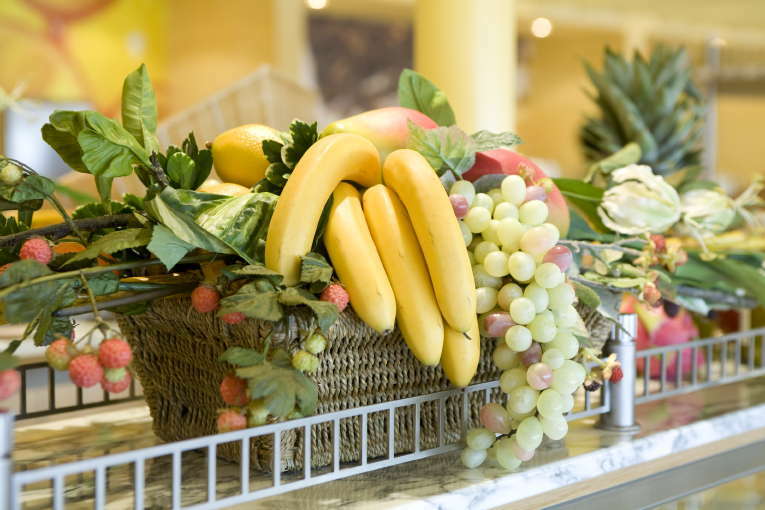 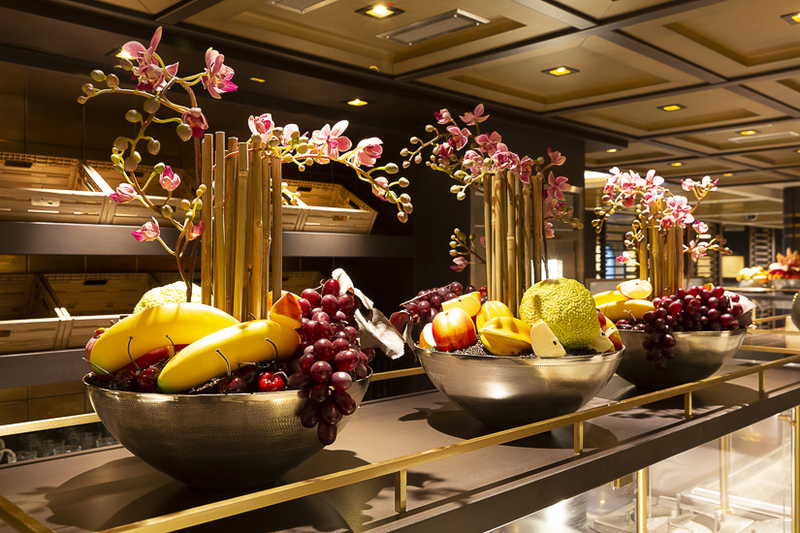 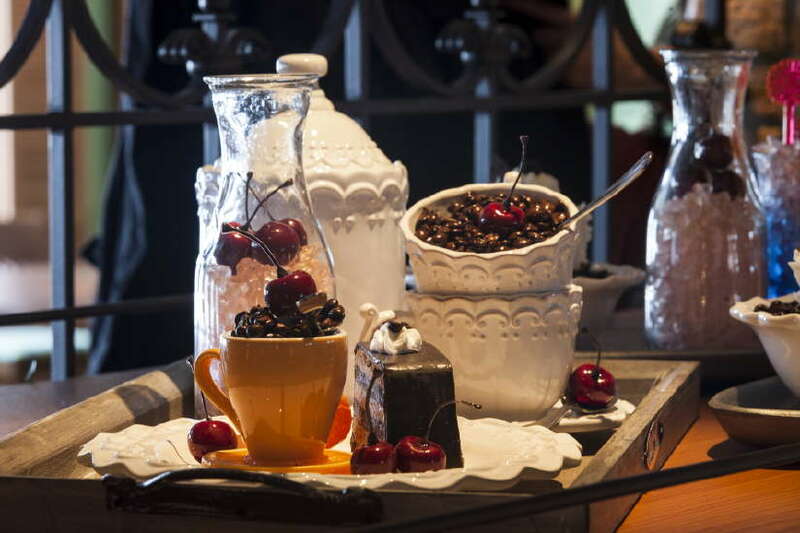 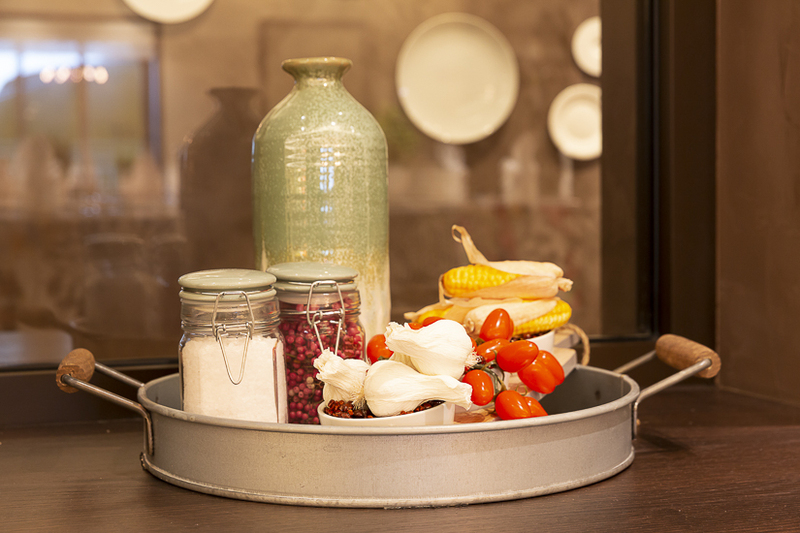 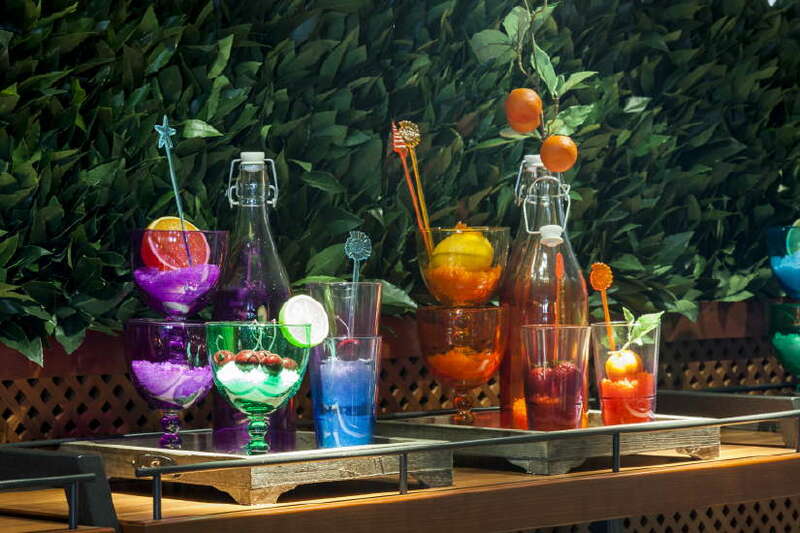 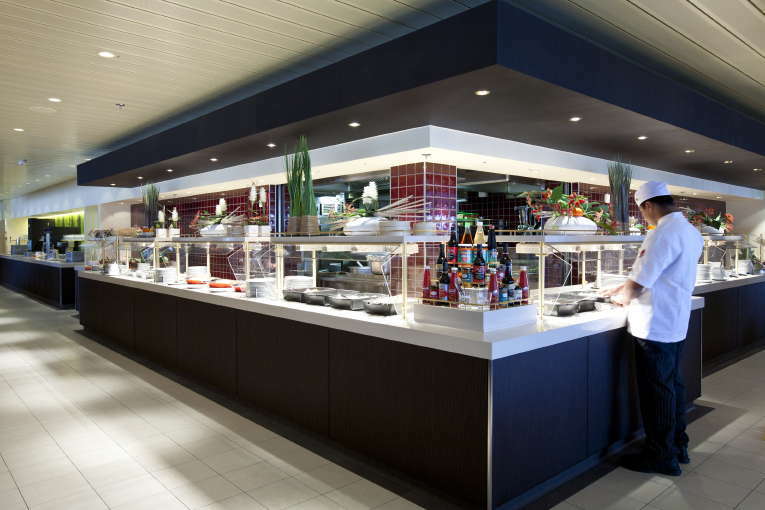 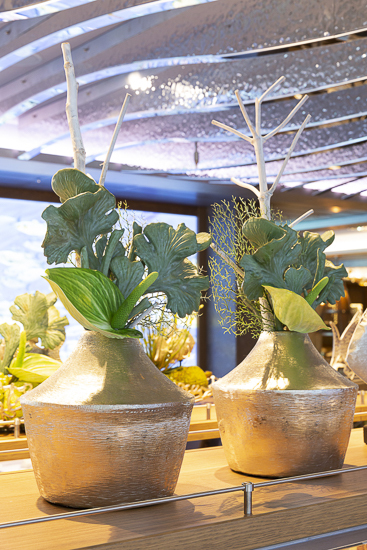 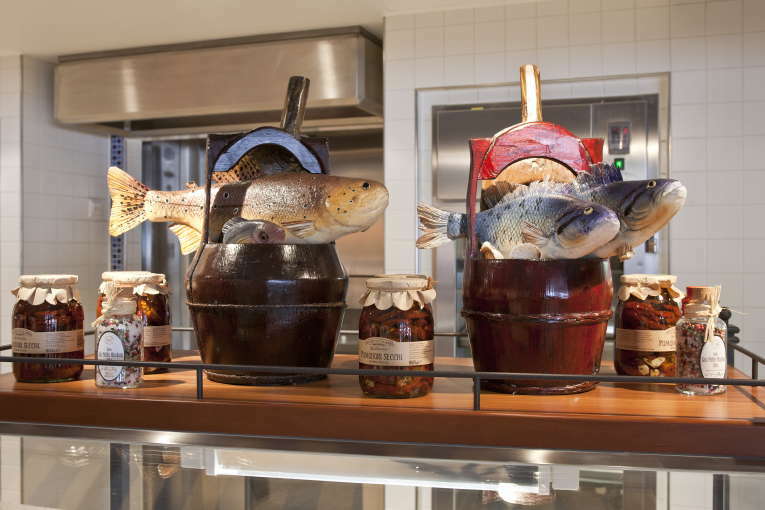 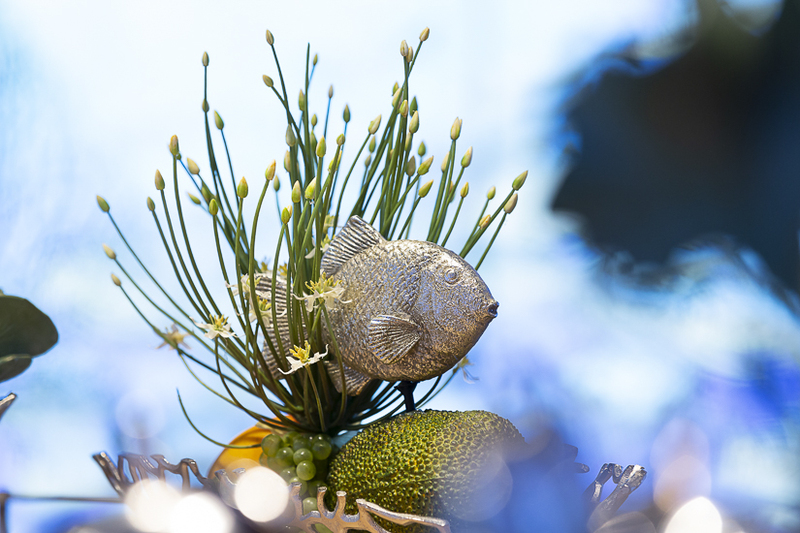 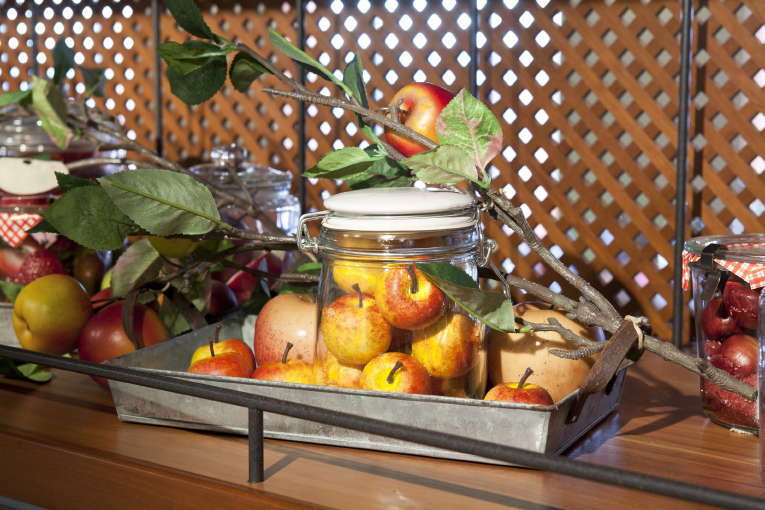 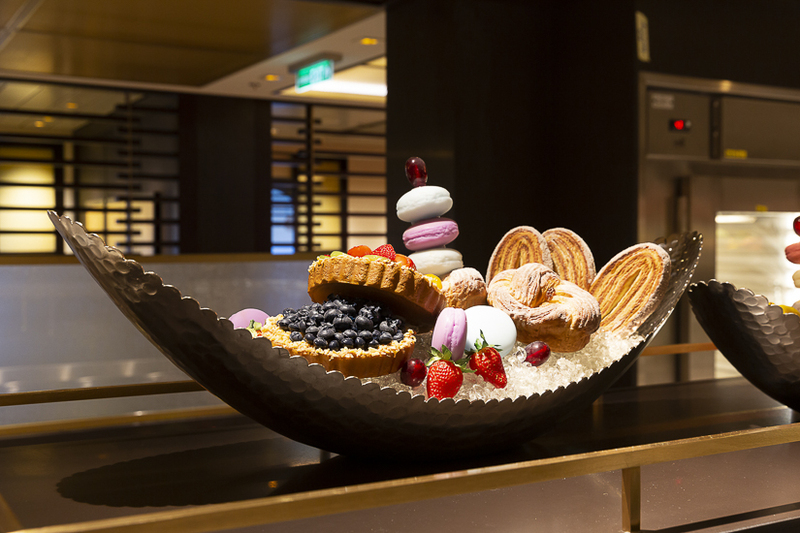 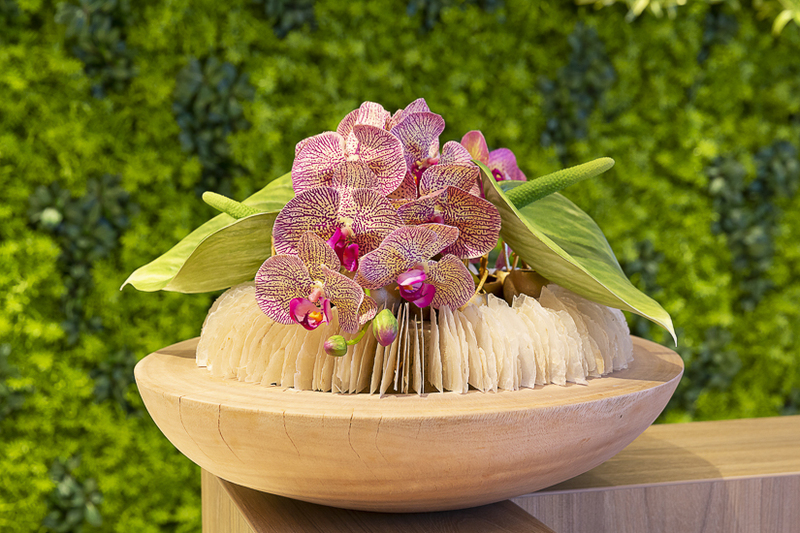 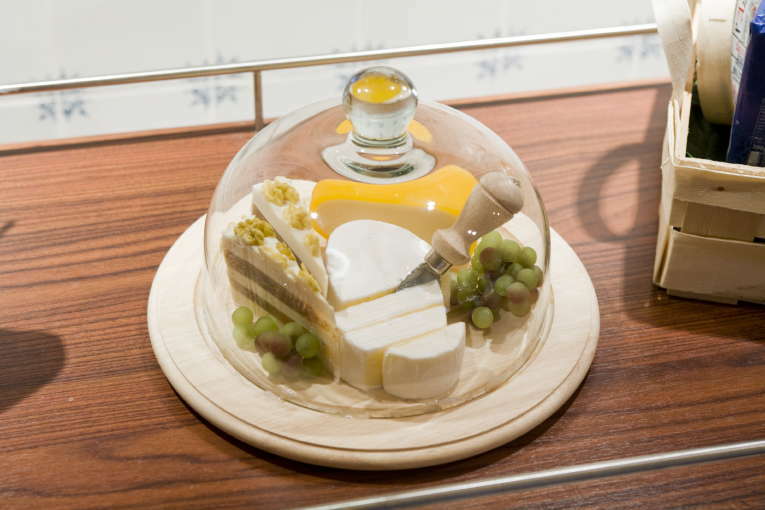 The purpose of buffet decorations is not only for visual enticement but also for orientation. 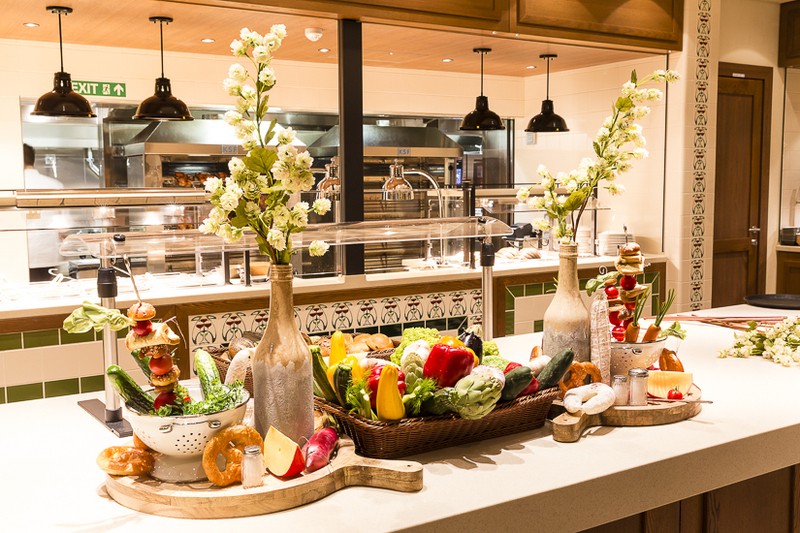 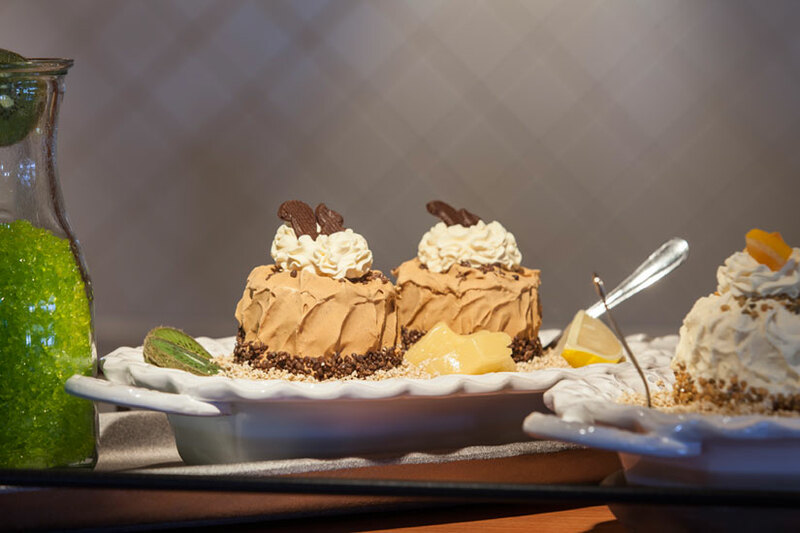 Guests immediately know from the decoration what type of restaurant they are in, and where they can find the salads, desserts and mains. 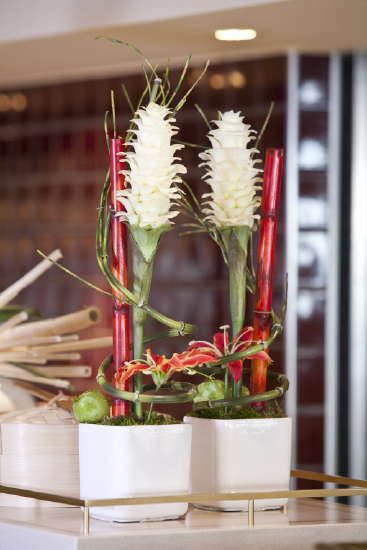 And it takes quite a skilful eye to ensure that you don’t inadvertently nibble the decoration. 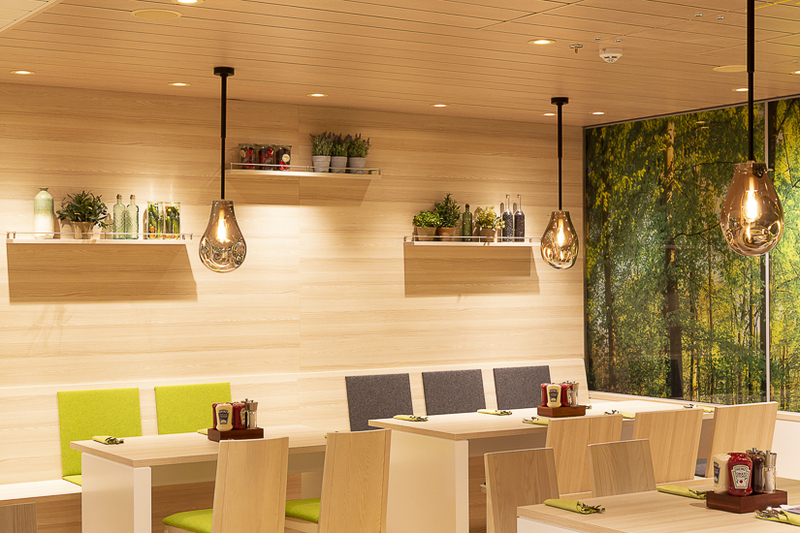 A pleasant ambience means that meals immediately taste twice as good. 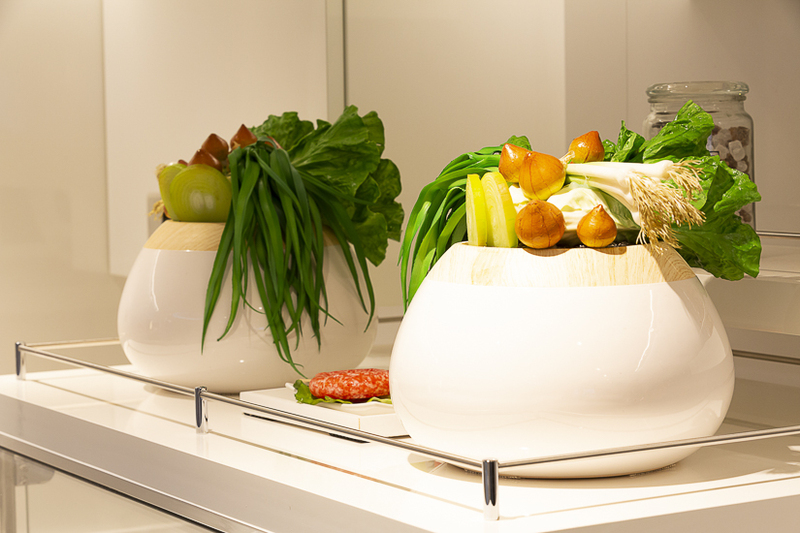 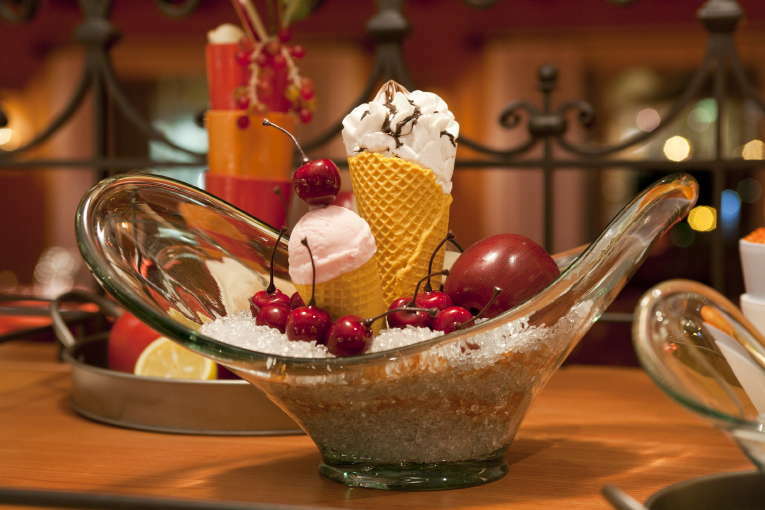 Besides which, the right decoration straight away provides guests with an idea of the cuisine served. 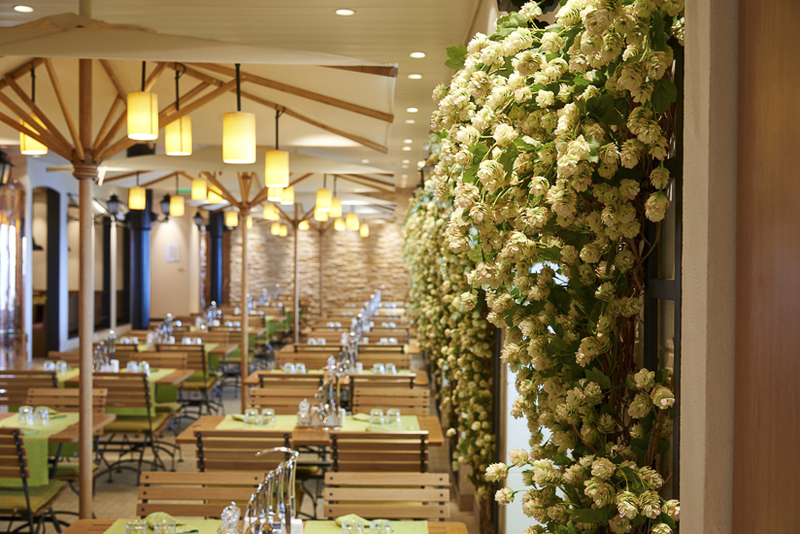 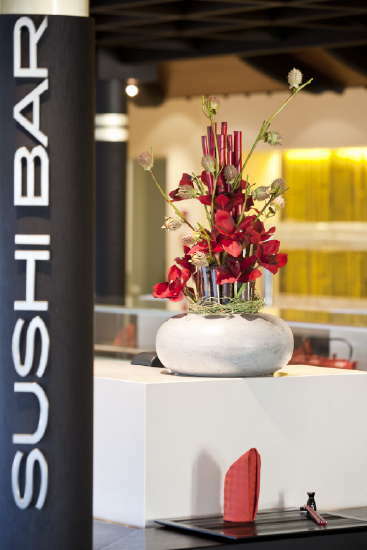 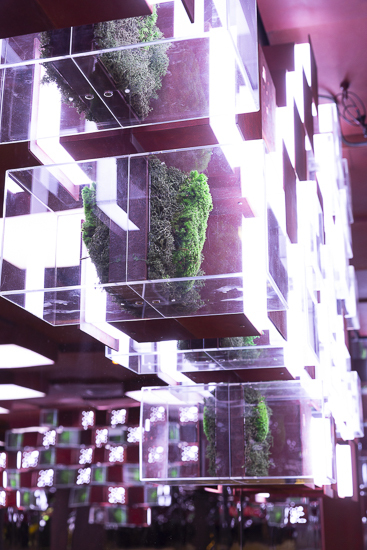 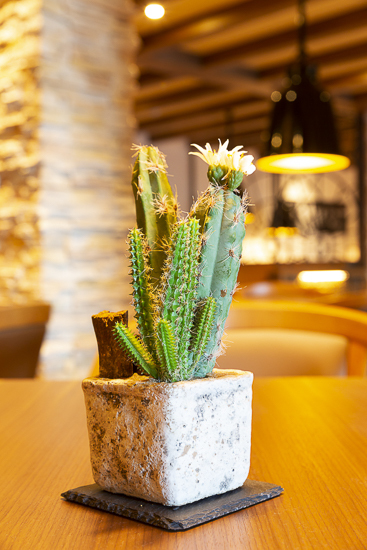 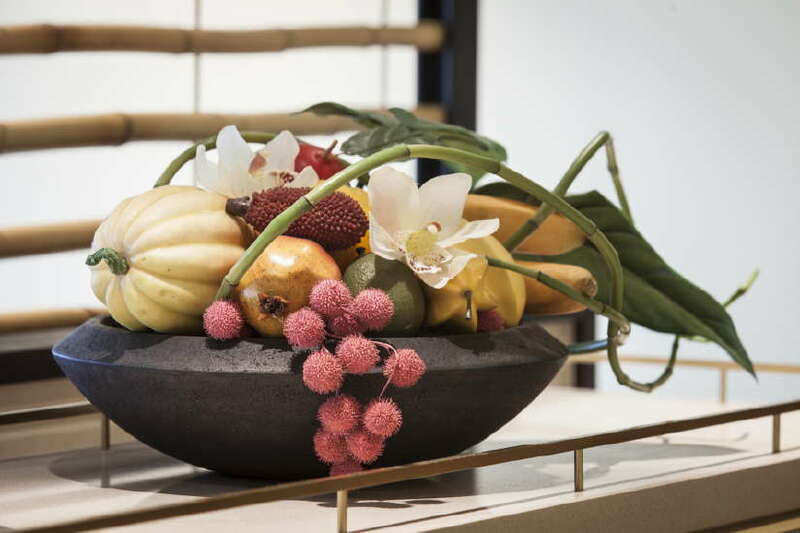 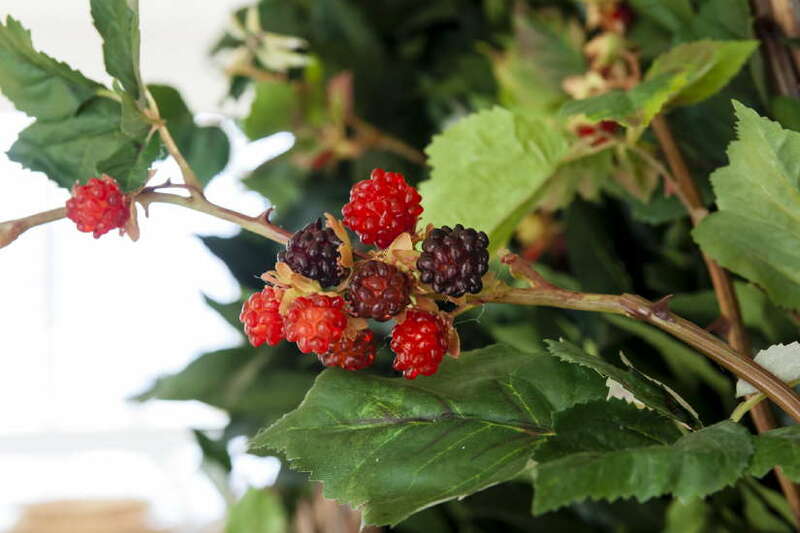 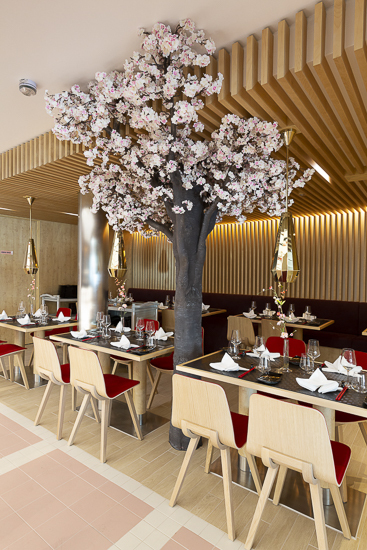 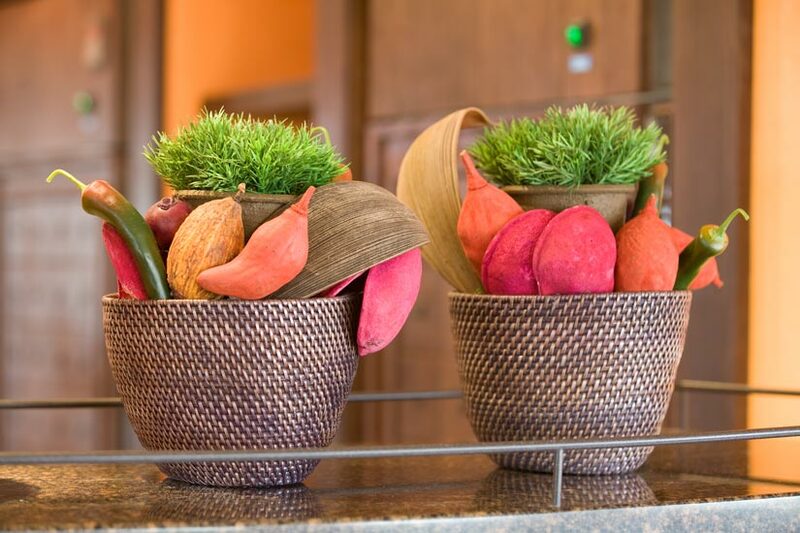 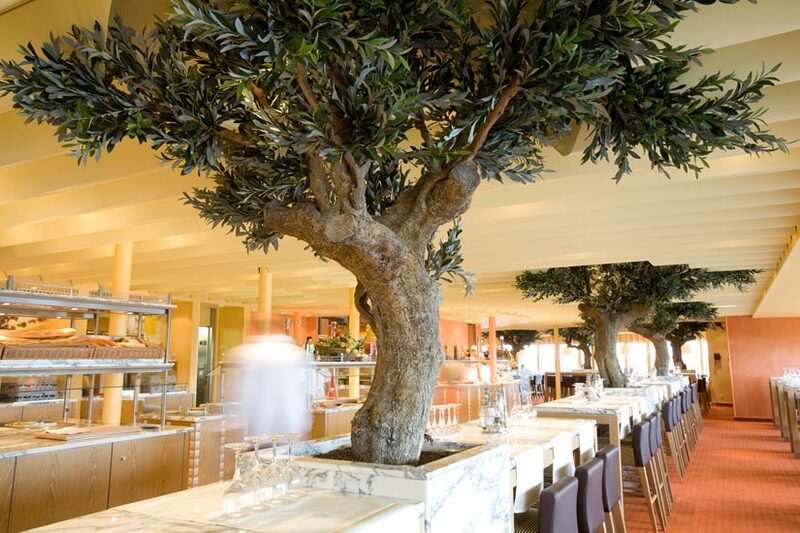 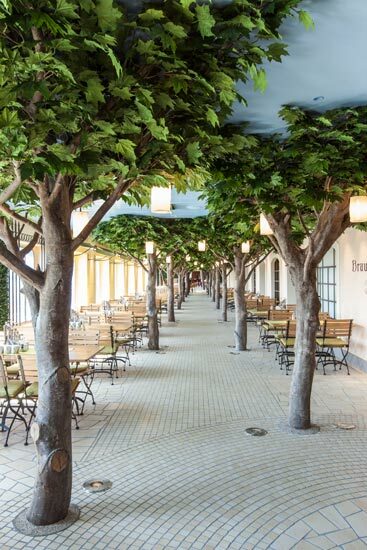 For instance, Asian floral displays decorate the sushi bar, an acorn alley turns the restaurant into a beer garden, and the olive promises Mediterranean delights. 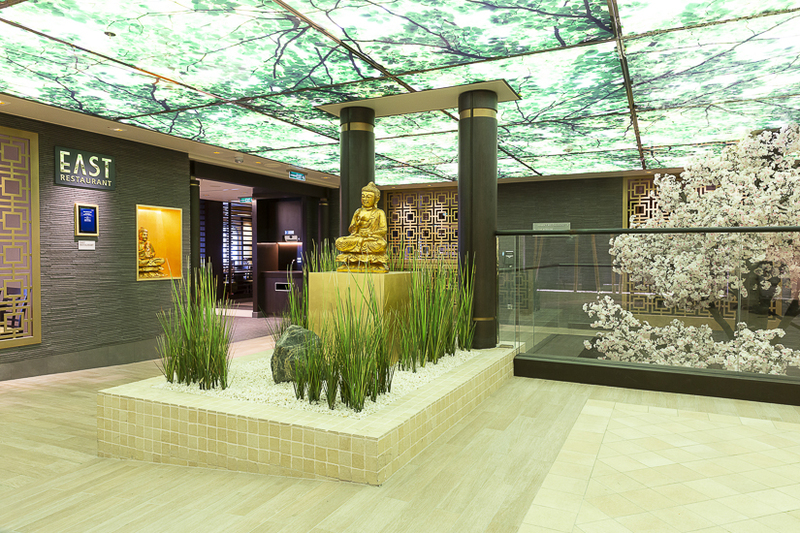 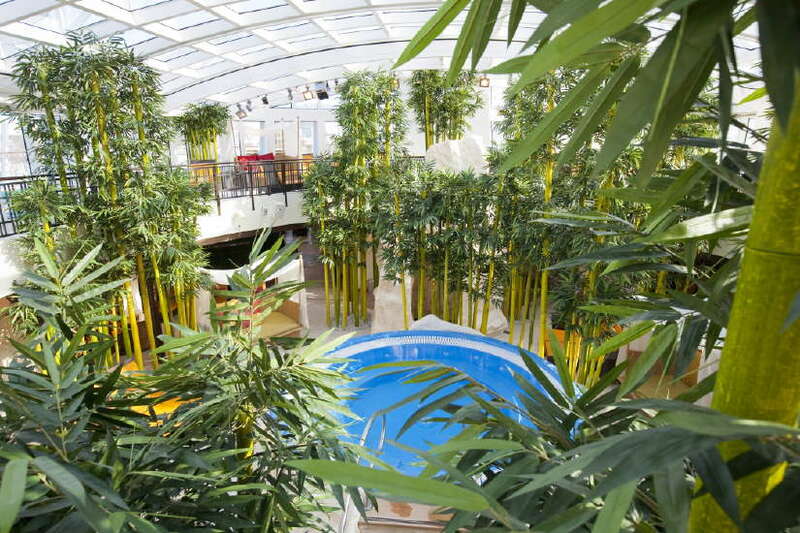 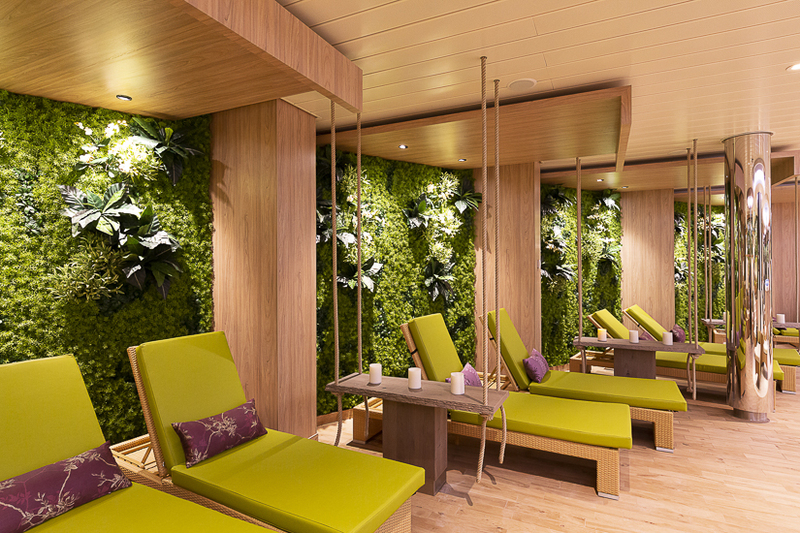 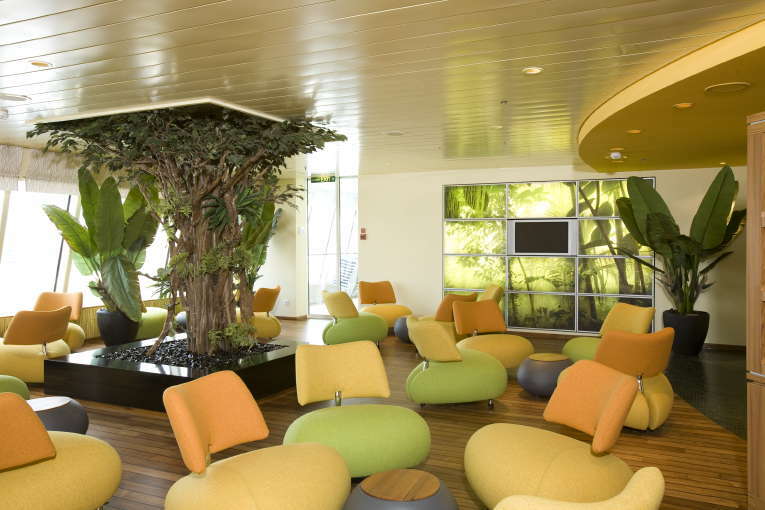 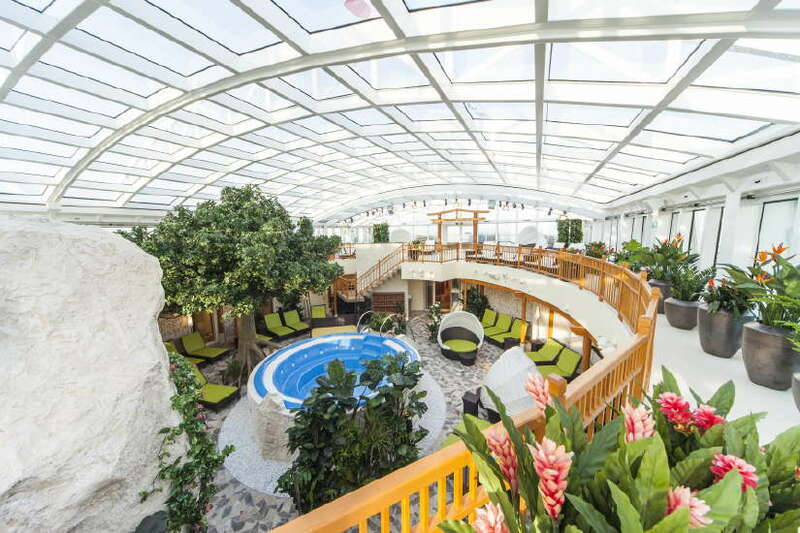 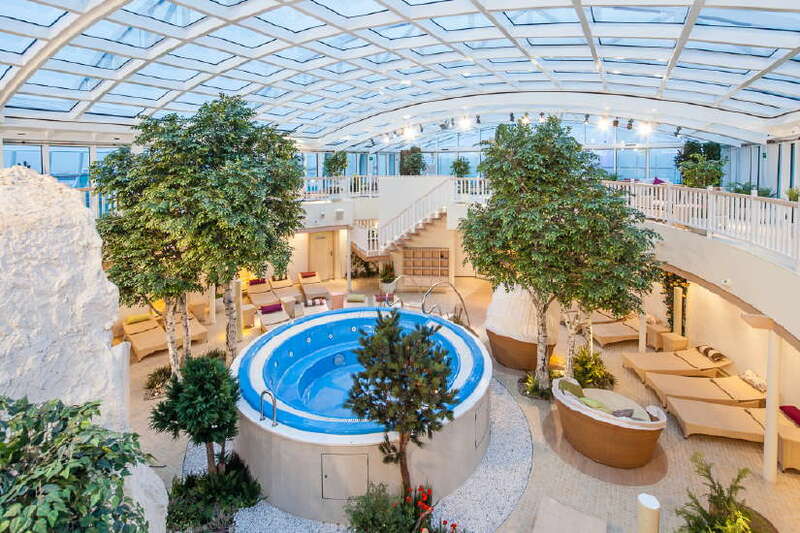 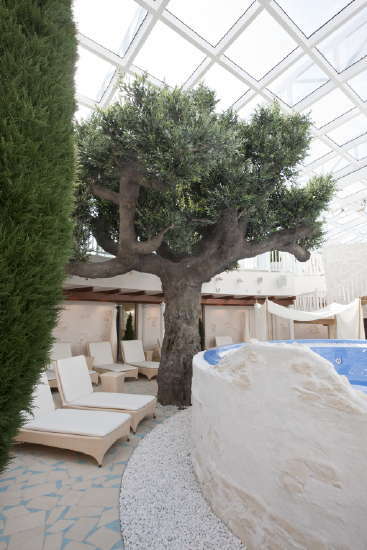 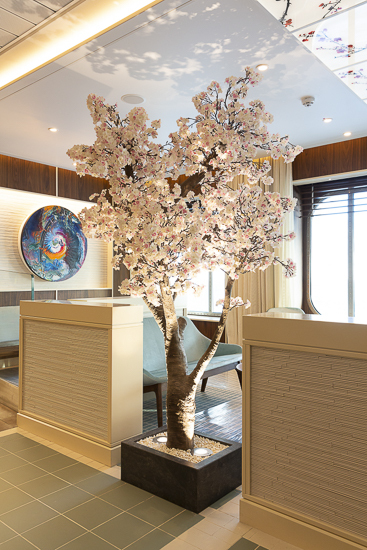 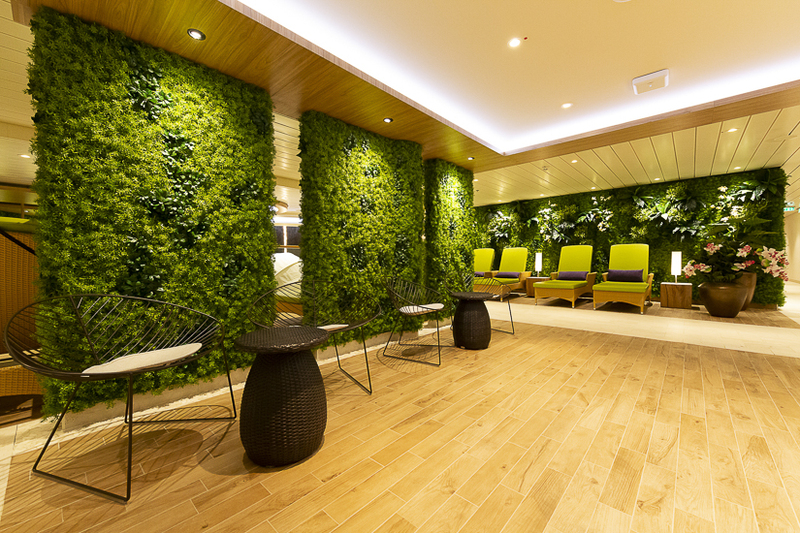 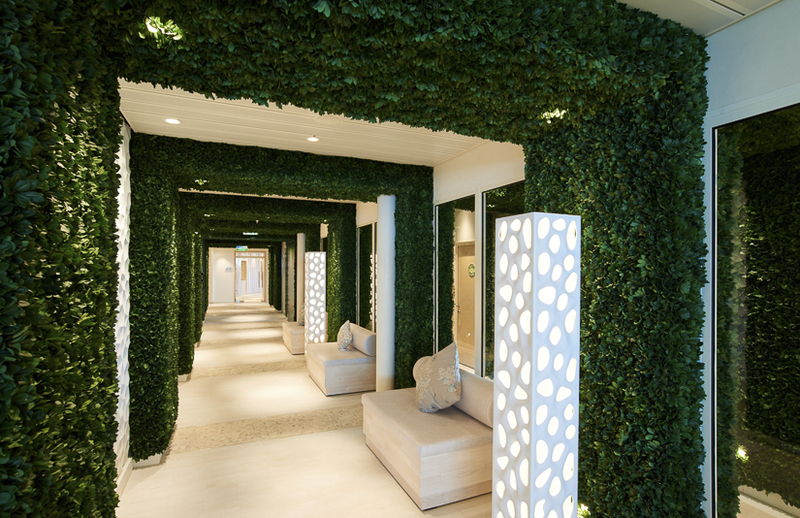 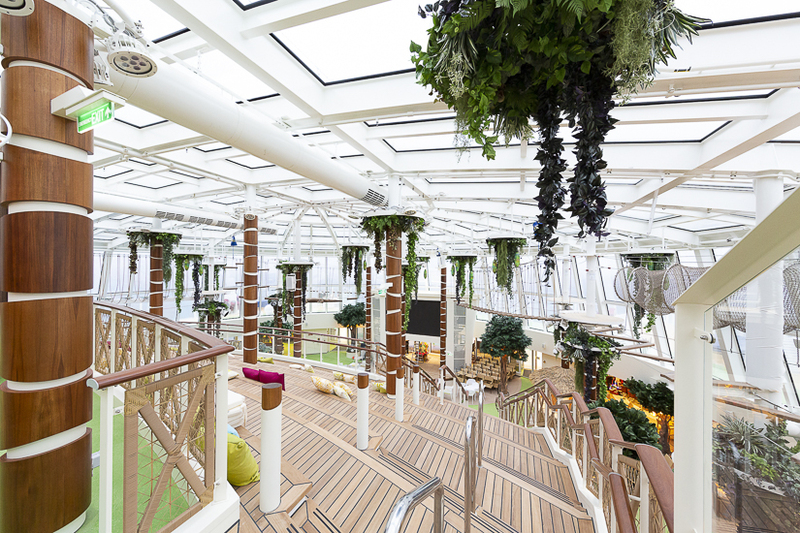 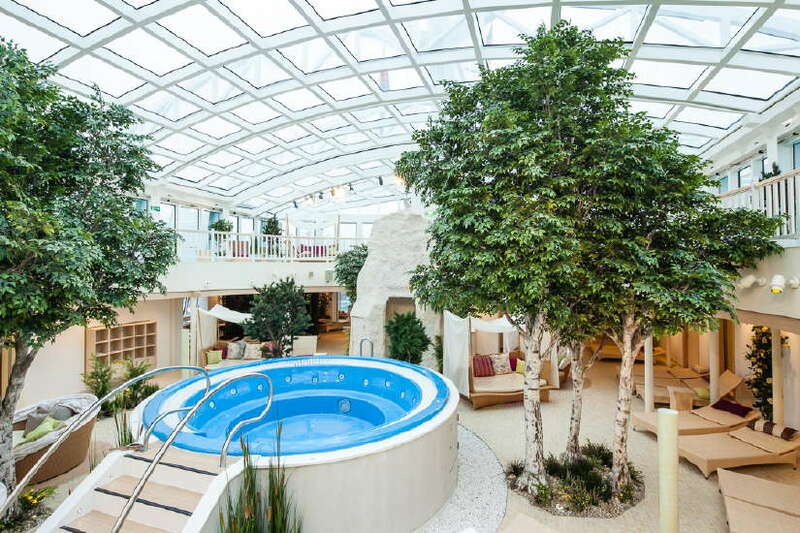 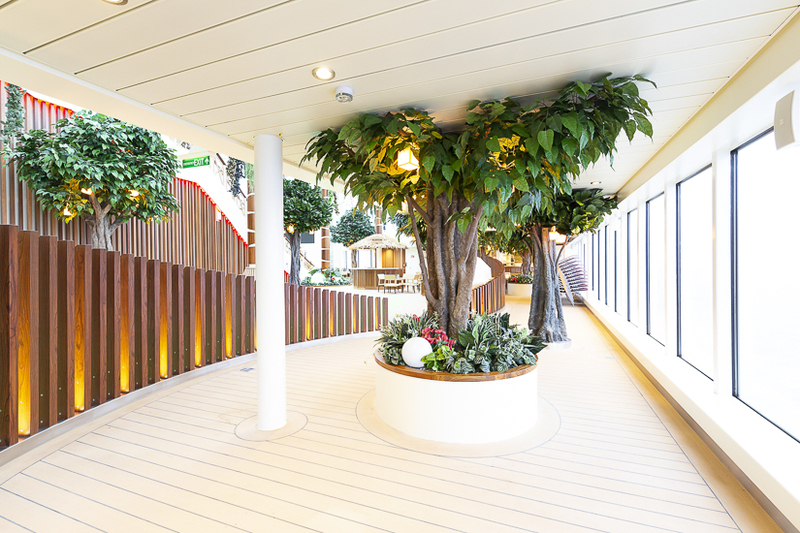 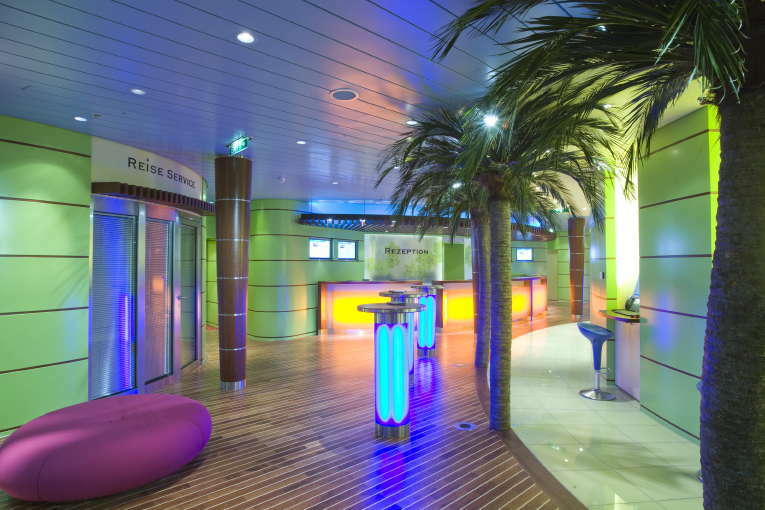 The wellness area is usually the centrepiece on AIDA cruise liners, and boasts a design that is in line with the motto of the relevant ship. 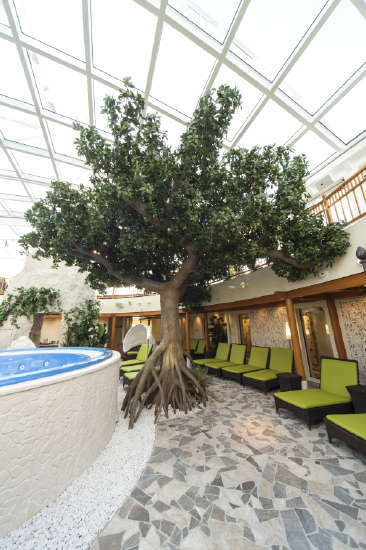 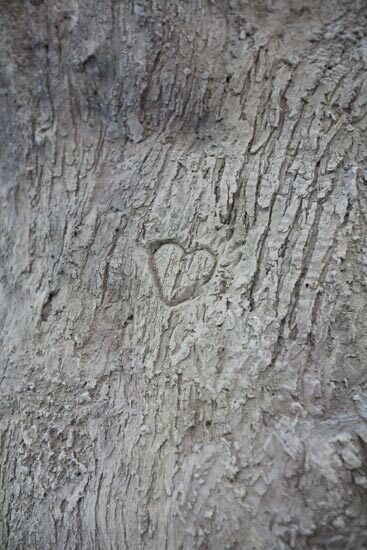 Either a giant olive with cypresses lures passengers into Mediterranean realms, or a birch grove invites them to Scandinavia, or a mangrove to Bali. 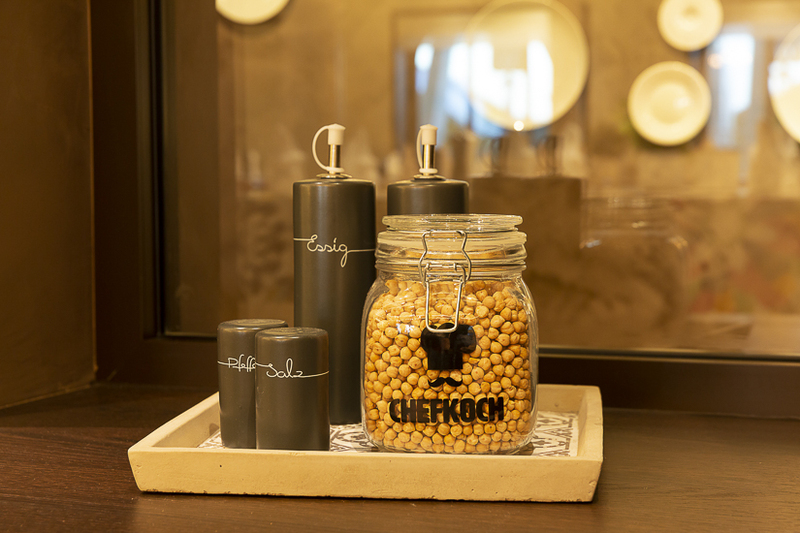 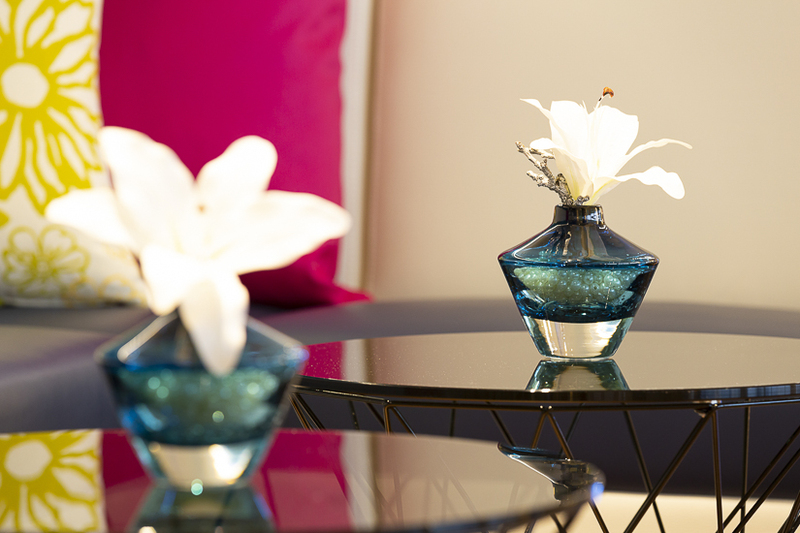 This means that guests can delve into foreign worlds – simply by way of the artistic furnishings.